Replacing your old water heater with more energy efficient and quiet hybrid electric heat pump water heater is easy for you now. In fact, the new and improved electric heat pump water heater is a great alternative to a normal and usual hot water heater. There are many advantages of installing the hybrid electric heat pump water heater as these are the latest advancement in electric water heating technology. The main difference is that the standard water heater uses energy to heat the entire tank of water whereas with a tank less water heater you only heat the water that is needed and you can even preset the temperature saving energy and your energy bills at the end of the month. You get more efficiency while the water heater consumes less energy. This is how this water heater is considered as environmental friendly and competent water heater. We offer the consumer with more energy efficient standard water heater, a tank less heater and hybrid heater to choose from. The water heater saves up to 62% on your energy bills every month. 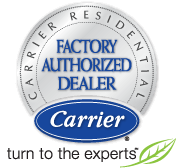 You can set an appointment through our website or call us so that we help you have stress-free evaluation and estimation on the new hybrid electric heat pump water heater.